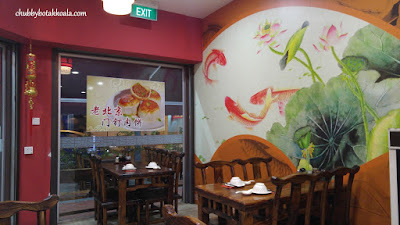 In our search for the best Xiao Long Bao in Singapore, we manage to uncover this restaurant. From the review that we looked at, apparently they served pretty solid ('XLB') and Dumplings as well. 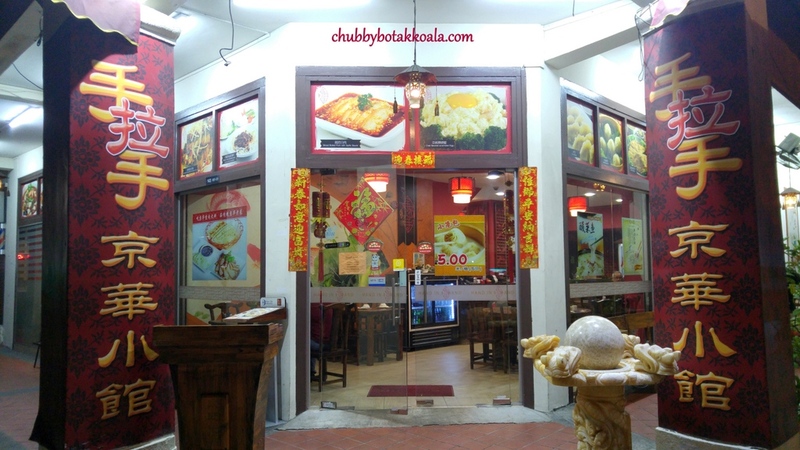 We have visited this place a few times and we always satisfied with the food here. We are just in awe of the consistency and delicious flavours that they crunch out every time. 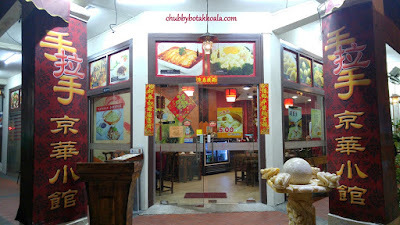 Surprisingly, this restaurant is not located in Geylang or Chinatown. Hand In Hand is located in Jalan Besar, a few shops down opposite the Berseh Food Centre. If you are walking pass, you will notice the restaurant is decked in red with a very traditional Chinese theme decorations. Xiao Long Bao ($7.80 for 8 pcs). The white skin of the XLB has the right smoothness, springiness and thickness. When you lift up the XLB, you can see the fillings dangling from your chopstick. Though the skin of the dumpling is thin, the skin and juice of the XLB are not easily break or leaked out, unlike the other popular franchise XLB place. The filling is soft, juicy, but not explosive. I find the proportion is just right and eating it with the julienne ginger and black vinegar just simply enhanced the flavours further. As a Beijing restaurant, the ultimate test of course is their Chinese Dumplings (Jiaozi). 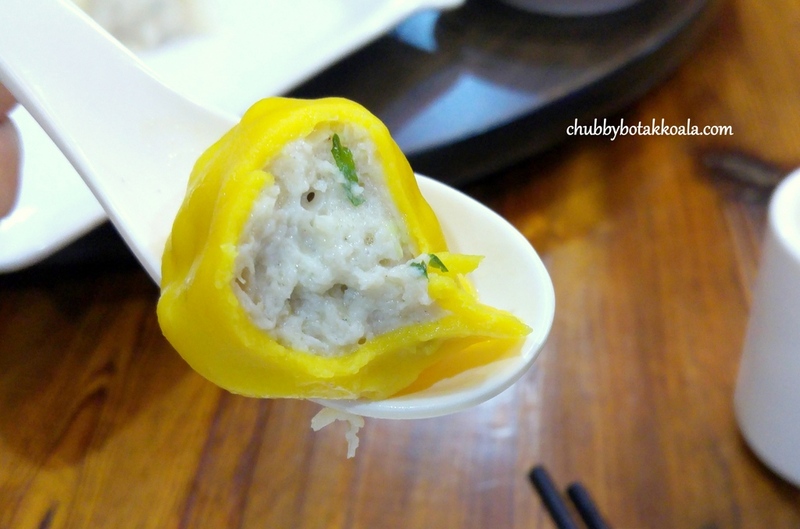 Their Dumpling with Leek and Pork ($5.80) is a must try item. With a thicker skin comparing to the XLB, it cover the fillings of leek and pork nicely. The 'Sifu' executed them perfectly, the dumpling won't even stick on the plate even after you leave it for a long time. The other variety fillings such as Chinese cabbage & Pork; Egg & Leek; Cucumber, Prawn & Pork; Leek, Pork & Shrimp are as good, it just depends on your preference. Two unique dumpling dishes that become our favourite here are their Fresh Cuttlefish Dumpling and Fish Meat Dumpling ($6.80 for 8 pcs each). The cuttlefish dumpling comes with the squid ink coloured skin, filled with cuttlefish paste. Very clean tasting, springy and delicious as well. While the Fish dumplings come in yellow colour dumpling skin, filled with fish paste. Kind of like a fishball wrapped in dumpling skin, unique and yummy..
For the non-steam version, the Fried Dumpling with Pork ($7.80 for 8 pcs) and Beijing Pork / Beef Pancake ($6.80 for 3) can be considered. The fried dumpling is the Chinese answer to fried gyoza. The nice golden colour represent crispiness of the fried dumplings. To bind all the fried dumplings, there is a web created by the leftover mixture of flour and water. The Beijing Pork / Beef Pancake are pan fried until the top and bottom part are crispy. Be careful when you eat this, as the pancake traps the heat in the fillings, it takes a while to cool down. The crispy exterior is then accompanied by juicy, succulent and well seasoned fillings (like those you found in our typical meat bao here). Yum Yum. You definitely can't go wrong with the Dim Sum items here. They are almost impeccable. However, don't expect the same with their noodle dish here. The Zha Jiang Mian or the soybean paste noodle and their beef brisket noodle are just ordinary. For the cooked food, their Egg White with Scallop ($15.80) will be a good option. Abundance in protein, silky smooth dish with delicate flavour. To enhance the flavour, black vinegar can be added to this dish. The Stewed Pork with Preserved Vegetables ($16.80) is a dish that goes well with rice. The pork belly has a good balance between the fats and meat. Once you put it in your mouth, it will just slowly melts in your mouth. Served with a white bun, making it just like a Chinese hamburger. Sautéed Sliced Mutton with Onion ($19.80 for small) will be a type of dish that remind you of the food in Beijing. The meat is tender, however the seasoning is very heavy with salt and cumin. Though I said it is heavy for Singapore standard, you can consider this as a norm for China standards. Service at this restaurant is practical and efficient. You will place the order through a tablet, where it is available in Chinese and English mode as well. From time to time, you can actually see the dim sum chef making the dim sums at his work station. Please note that their dumplings can be purchased in frozen version at a very reasonable price. As it is frozen, you can actually keep it in the freezer and only heat up what you need. Please contact the shop for the frozen dumpling price. Overall, Hand in Hand definitely served an authentic Beijing food. The Dim Sum (dumplings) range are just excellent, and their cooked dishes options are pretty good as well. So if you are looking for authentic dumplings, drop by at Hand in Hand. Ganbei!! Cheers! !